Presidential Estates: BEST OPPORTUNITY AND VALUE FOR THE MONEY IN THE GUARD GATED PRESIDENTIAL ESTATES EXCLUSIVE COMMUNITY! FOYER ENTRY WITH HIGH CEILINGS! Beautiful large white Porcelain floors in the first floor and Bamboo wood floors in the second floor. Custom made glass stairs! REAL 4 BEDROOMS (1 downstairs and 3 upstairs) 4 FULL BATHROOMS (1 downstairs and 3 upstairs) WITH A FAMILY ROOM AND AN OPEN KITCHEN OVERLOOKING THE DINING AREA JUST STEPS FROM THE OVERSIZED PRIVATE GARDEN FEATURING A LARGE HEATED POOL AND BUILT IN COVERED BAR & BARBECUE GRILL. SEPARATE LAUNDRY ROOM NEXT TO THE GARAGE. THE HOME IS LOCATED RIGHT ON THE COMMUNITY PARK WITH BASKETBALL COURT, PLAYGROUND, PICNIC AREA AND GUEST PARKING MAKE THIS A PERFECT HOME! Very easy to show! Owners motivated! Use ShowAssist or Call listing agent. Lakes: Largest diamond model featuring 5 bedrooms and 4 full bathrooms in the sought after community of Aventura Isles. Grand chef kitchen with cooking island, mahogany cabinets and light quartz countertops in the kitchen and in the bathrooms. Large yard and 2 car garage plus 2 car parking in driveway. BRAND NEW CARPET ON STAIRS AND SECOND FLOOR!!! Furniture negotiable. Lakes: Amazing Diamond house in the fabulous gated community Aventura Isles with porcelain tile in the living area, wood floors in the stairs and the rooms, white kitchen with black granite counter tops. The community has 24 hour security, big poo, kids playground, natural landscaping and more. Near the Aventura Mall, access to I-95 and 441. Cable and internet is included. Equal Housing Opportunity. Lakes: CARPET THROUGHOUT THE UNIT WITH TILE IN THE KITCHEN AT BATHROOM AREA! BRIGHT AND SPACIOUS, BEAUTIFUL KITCHEN WITH GRANITE COUNTERTOPS AND ALL APPLIANCES INCLUDED, FAMILY FRIENDLY AND SAFE COMMUNITY! CLOSE TO AVENTURA MALL, OTHER SHOPPING PLAZAS, AND GREAT SCHOOLS! RENTED FOR $2400 UNTIL JULY 31 2019. SHOWINGS MUST BE SCHEDULED 24HRS IN ADVANCED. IF LISTING IS ACTIVE, THEN PROPERTY IS AVAILABLE. NO RENT RESTRICTIONS, ALL AGES WELCOME! Aventura Isles: Empty-nesters are ready to move on from this beautiful canal-view pool home in Aventura Isles. Open modern floor plan with 5 bedrooms and 4 full baths (1/1 on first floor, 4/3 on second) with private fenced pool. Manned guard gate and 24-hour security patrol. Core-foam insulation construction with impact windows and doors. Many upgrades including granite counter tops, all upgraded cabinets, security cameras, house-wide network+coax wiring, ceiling speaker wiring, central vacuum, fully-tiled showers, dual shower heads and frame-less door in master bath. Community offers park and playground areas, community pool, lighted jogging trail. Quickly accessible to I95/Tpike/441, Aventura Mall, Gulfstream and Hard Rock Stadium. HOA includes cable/internet, lawn, sprinklers, landscaping. Aventura Isles: BEST DEAL IN THE COMMUNITY. DIAMOND MODEL 5/3. LOTS OF UPGRADES: WOOD STAIRS, 2ND FLOOR WOOD FLOORING, FENCED BACKYARD, ONE BEDROOM DOWNSTAIRS WITH A FULL BATH, TOP OF THE LINE STAINLESS STEEL APPLIANCES AND GRANITE COUNTER TOPS, PORCELAIN FLOORS DOWNSTAIRS, LUXURIOUS BATHS WITH DOUBLE SINKS, JACUZZI. TWO CARS GARAGE. GATED COMMUNITY WITH CLUB HOUSE, JOGGING PATH, ETC. THIS HOUSE HAS THE BEST LOCATION FROM ALL COMPARABLES ON THE MARKET, ITS ACROSS THE STREET FROM THE COMMUNITY POOL AND PLAYGROUND. Aventura Isles: Beautiful two-story home, 5 bedrooms and 3 baths (Diamond model), freshly painted, upgraded kitchen, 42 inch cabinets, granite countertops, stainless steel appliances, private backyard and amazing views of the lake!!!! Awesome floor plan, it’s a pleasure to show! Don’t miss it! Aventura Isles: Spacious single family Home Jewel Series Sapphire Model. completed August of 2014. 4 Bedrooms, 2 Full bathrooms,1 Half Bathroom.This Home is FULL OF UPGRADES,Porcelanato Floors,Wood Staircase.Upgraded kitchen cabinetry and granite countertops.Upgraded bathrooms tiled floor to ceiling.Top of the line Stainless steel appliances.Blinds.Alarm System installed.Fenced patio with room for a pool.Community features jogging path with exercising stations, pool, paved roads,Guard gate.HOA fees are paid quarterly.Cable, internet & phone included as per Management Company.Two car garage and additional space in drive way.FOREIGN SELLER.By appointment Only.Measures are all approximate, taken from public records and intended for information purposes only.It is buyers obligation to verify the information. Lakes: BEAUTIFUL HOME IN AVENTURA ISLES ! 3 BEDROOM 2 AND A HALF BATHROOM. CARPET THROUGHOUT THE WHOLE UNIT AND TILE IN THE KITCHEN AND BATHROOM,BRIGHT AND SPACIOUS, GRANITE KITCHEN COUNTER TOP, WASHER AND DRYER, FAMILY FRIENDLY COMMUNITY, THE UNIT IS OCCUPIED TILL 9/30/19 FOR $2300. SHOWINGS MUST BE SCHEDULED 24HRS IN ADVANCED. IF LISTING IS ACTIVE, THEN PROPERTY IS AVAILABLE. NO RENT RESTRICTIONS, ALL AGES WELCOME! Aventura Isles: Beautiful lake front home at prestigious new development Aventura Isles. Open & modern floor plans, 5 beds, 3 baths, luxury kitchen with granite countertops, living/dining, family room, laundry, 2 car garage parking plus guest parking, high impact doors & windows. Large patio fenced, and beautiful tile & wood floors. Private backyard with lake view. 24 hr security, community pool, kids playground, jogging trail. Minutes away from beaches, Aventura mall, Gulfstream and Hard Rock stadium. Lakes: BEAUTIFUL CANAL FRONT HOME 4 BED 2.5 BATH AT AVENTURA ISLES IN A LUXURY GATED COMMUNITY. THIS AMAZING HOME FEATURES: LUXURY KITCHEN CABINETS WITH A DOUBLE THICKNESS GRANITE COUNTERTOP & STAINLESS STEEL APPLIANCES, LIVING/DINING & LAUNDRY ROOM WITH WASHER & DRYER, BOTH BATHROOMS ON THE SECOND FLOOR (MASTER BEDROOM AND HALLWAY) HAVE TITLE ON THE WALL FLOOR TO CEILING, FRENCH DOOR LEADING ONTO THE TERRACE, HOME HAS LIQUID PLASTIC INSULATION IN BLOCKS. TO RATE TITLE LIMESTONE THROUGHOUT ON THE FIRST FLOOR. COMMUNITY FEATURES A GRAND GATED ENTRY & ELEGANT COMMON AREA. SELLER MOTIVATED. MUST SEE!!!! Enjoy this HUGE, entire remodeled and STUNNING finishes!!! The house has a HUGE pool and lots of space to entertain. Master Bedroom has a build walk-in closet & gorgeous Bathroom with a pool view. Kitchen has amazing over the top wood cabinets and marble countertops! Minutes away from Aventura mall and I-95. Aventura Isles: VACANT!!! Beautiful 4 bedroom 2.5 bath home located in the Aventura Isles Community. It's a single family home with ample space and backyard. Ceramic floors in the first floor and carpet on the second floor. House was upgraded with stainless steel appliances. Aventura Isles has a 3 playgrounds, community pool and jogging path...all with gated entrance. HOA includes cable and internet. Aventura Isles: Beautiful lake front home in prestigious new Aventura Isles. Open and modern floor plan with 4 spacious bedrooms and 2.5 baths. Gorgeous chefs kitchen with granite counter tops, top of the line appliances, custom tiled full backsplash, plus large pantry. High impact doors and windows throughout the home. The entire first floor is upgraded with tile. Custom window treatments throughout. Master bath has custom granite countertops plus dual sinks. The large backyard has a gorgeous lake view, plus extended pavers and a fenced patio. There is ample room for a pool. Home has cameras and an alarm system. Avenura Isles is a gated community. Community has a large heated pool, lots of open spaces to walk or jog, dog park, 2 playgrounds and it's own park for biking and exercising. Lakes: Lovely, secure and convenient neighborhood at an affordable price Champion Lakes is a newer development that is now established with a great family atmosphere. Plenty of walking paths, security and close to both airports, Aventura Mall and Gulfstream Shops and racetrack. Bring your toothbrush and enjoy this home, finished only 5 years ago. Seller has included many developer upgrades. 10’ ceilings and excellent floor plan. Master suite is large with excellent closet space and large master bath. Too many features to mention here. Don’t miss this opportunity and enjoy the community of Champion Lakes. 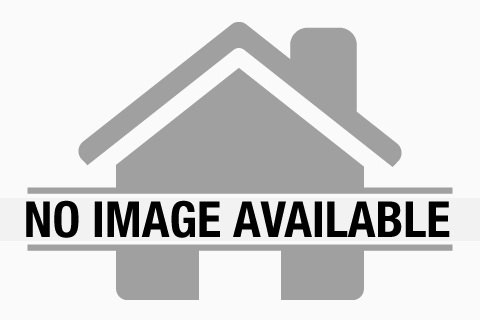 Lakes: Great 4 Bedrooms 2 Bathrooms. 2 Story House. Updated kitchen. Backyard. Gated community (pool, playground, club house, security etc). Washer and Dryer in second floor. 2 car garage. A+ schools. Lakes: Beautiful lake front home in The Prestigious new gated community of Aventura Isles. Open and modern floor plan with 4 spacious bedrooms and 2 baths. kitchen with granite counter tops, top of the line appliances, large pantry. The entire first floor is upgraded with Wood. Master bath has custom granite countertops plus dual sinks. The backyard has a beautiful lake view, Community has a large heated pool, lots of open spaces to walk or jog, dog park, 2 playgrounds and it's own park for biking and exercising. San Simeon Homes: Newly remodeled kitchen,high end Italian cabinets, high gloss/matte on both sides of the doors. New modern recess lights. High end induction oven (screen touch), large refrigerator and appliances by Miele with lifetime guarantee. All appliances are custom fit with custom covers matching cabinets. Italian made high end kitchen sink and faucet with touch button. Remote control window shades. Lights over the stove remotely controlled. New roof still under warranty. High impact windows. New entry door. New and modern Italian tiles downstairs & new wooden flooring upstairs. Brand new high end guest bathroom upstairs and modern newly done bathroom downstairs. Custom made outside barbecue, patio and walk around pathway with tiles. Close to Aventura Mall, Beaches, Airports and major highways.